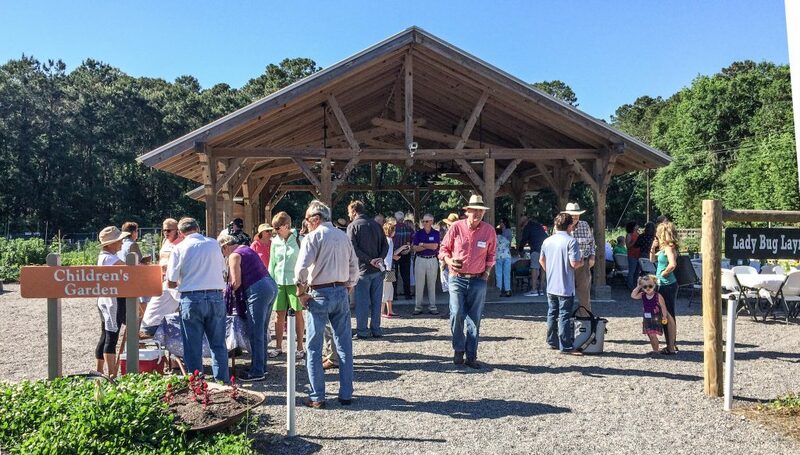 One hundred and thirty farmers and supporters of the farm attended the festival which was catered by the club and our own Farmer Chefs Tom Rosen and Joe Tyson. As part of the festivities, a plaque recognizing donors to the farm was unveiled. Below, Jerriann Kirkwood and Paul Kurilla do the honors. Jerriann was president of Skidaway Audubon when the farm project was launched, and her guidance and energy helped make the farm a reality. Paul is the director of TLA Public Works – he and his folks loaned equipment and operators, and provided many many hours of volunteer labor in construction of the farm. Skidaway Farms honey for sale!